Greenstone's software is a flexible solution to collect, manage and report all non-financial data across a global organisation. 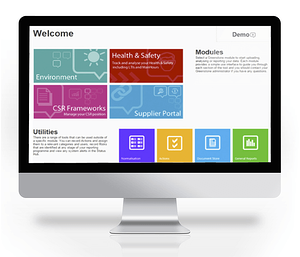 Sign up for a 30-minute software demo with one of our sustainability consultants so we can show you some of our key software functionality and demonstrate how we can get you data that talks to you. During this meeting we will try to better understand your requirements and current data management processes so we can show you the bits that are most relevant to you and your business' reporting. Please indicate on the form a preferred time and date, and whether there are any areas (Environment, CSR, Health & Safety or SupplierPortal) that you are particularly interested in. If you tell us your top 3 software requirements, we will make sure we cover them during the demo.